welcome to deer creek farm! Thursday, April 18, 2019 at the Rockingham County Fairgrounds. 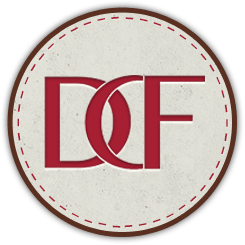 DEER CREEK FARM is a producer of registered Simmental and SimAngus cattle and is located in central Virginia halfway between Lynchburg and Charlottesville. Our farm is grass based with gently rolling pastures and hayfields at the foot of the Blue Ridge Mountains. Other enterprises on the farm include timber and sheep. The farm is operated by Mark and Dana Campbell and their sons. Our family has lived in this area since the mid 1700’s. Cattle production has been part of our heritage for several generations and we continue that legacy today. THE CATTLE we raise are efficient and productive. While we want the cattle to be productive and have good growth and muscling; we also balance that with efficiency. Grass is the main source of cattle feed and we take extra care in the management of it with managed intensive grazing and fertility. The indexes that American Simmental Association has, especially the All Purpose Index have resulted in cattle that strike the best balance of profitable productivity and efficiency. We use all the data that we can get our hands on and utilize EPDS to make better cattle every year. Artificial insemination and embryo transfer are utilized to obtain the best genetics available. DATA IS COLLECTED AND SUBMITTED to the American Simmental Association (ASA). ASA maintains the largest multi-breed cattle evaluation in the world. That means that a lot of data is collected which result in more accurate EPDs. We participate in Total Herd Enrollment (THE) which means that we report data on all cows and calves, not just the best ones. Deer Creek Farm is recognized by ASA as a Performance Advocate because we are diligent in the reporting of data. Additionally, DNA samples are taken on all bulls for Genomic Enhanced EPDs and to test for homozygous black and polled. We also test heifers for coat color and polled traits. MEETING YOUR NEEDS as a genetic provider of quality bulls and heifers is important to us. We strive to raise Simmental and SimAngus bulls that will improve your herd and make you money. We have calving ease and power bull options and combination bulls too to fit your herd production goals. The heifers are bred to make great cows and we also have some nice show heifers each year. Feel free to contact us for any of your cattle needs or to discuss the Simmental breed.